Harrisons Signs supplies a full range of illuminated and non-illuminated business signs across Yorkshire and the UK. From flat-cut acrylic and aluminium lettering to built-up letters, directional and informative signs, light boxes and much more. From concept to completion, we’ll ensure your exhibition stand or display fits your requirements perfectly, helping you to fulfil your live marketing objectives. Digital graphics are a cost-effective way to promote your brand, products, special offers and upcoming events. They can be applied to most surfaces and are easily refreshed when the time comes. From initial enquiry through to after-sales care, we’ll share our wealth of experience in business signs and exhibition displays across Yorkshire and the UK, to get the job just right for you. We pride ourselves on the quality and range of our business sign and exhibition display products. We are dedicated to perfecting and promoting your company’s image through sign-making innovation, customer care and craftsmanship – which has evolved over a century of trading. For larger projects, such as corporate re-brands with multiple signs and locations, we project manage your job from start to finish, ensuring an efficient and coordinated result. 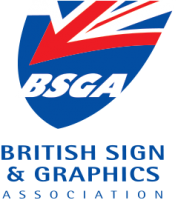 We operate in all areas of the UK, so no matter what the size or location of your business, our dedicated team can create all the business signs, exhibition stands and displays you need. Whether you have an exact brief, an initial idea or need some expert guidance, the Harrisons team will support and advise you to ensure your company achieves maximum impact and value for money from its business signs and exhibition displays.